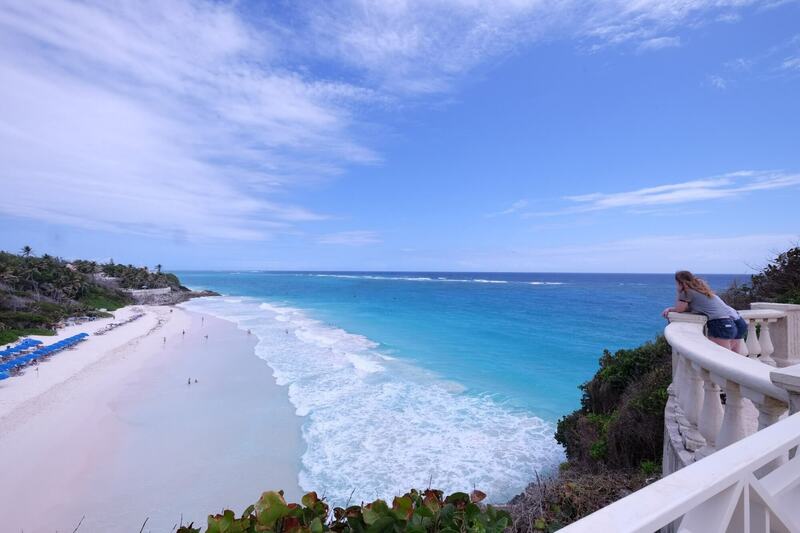 BARBADOS – There are certain places in the world that just kind of hit me the minute I arrive. One of those is the Crane Resort on Barbados, an island and a hotel/resort I’ve had the pleasure of enjoying for three full stays and a brief day visit. 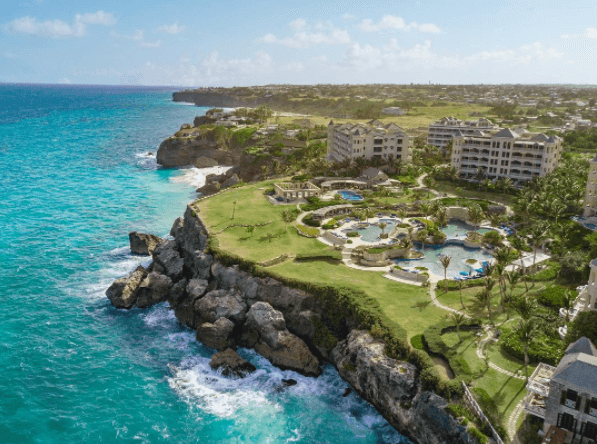 It’s one of the outstanding resorts in the Caribbean; a gracious and beautiful property that sits on a bluff overlooking the quiet and rugged southeast coast of the island. One of the best things about the resort is the way they’ve encompassed so many historical elements. A hotel was originally built here in the 1700s and then again in 1877. It’s the oldest vacation resort on the island. They’ve kept the original coral stone buildings from back in the day, and they’ve built a great deal of the rest of the property using similar stone. There are 18 rooms in the original building, which features 12-foot ceilings, mahogany beds and more. The other rooms are in a series of modern buildings that feature all the amenities but also have tons of old-style charm; deeply oiled wood that looks like the inside of a Tommy Bahama store, hand-crafted mahogany furniture, huge bathrooms swathed in marble, and much more. The unit my wife and I had for our recent visit was number 212 in the Codrington building. It had a full kitchen, washer/dryer, a supremely comfortable king-size bed, two large-screen televisions, a soaking/spa tub, two bathrooms, two showers and a wonderful living area with a kitchen table and two white sofas that were deep and comfortable. We also had a large patio with two chaise lounges, a table and chairs with a shady umbrella and a good-sized plunge pool. We could sit at the table at breakfast and see the deep blue ocean waves and look out on the lush gardens, green lawns and the glistening swimming pools. We came back from dinner our last night and I laid out on one of the lounge chairs under a brilliant white moon, which looked like a distant half-scoop of vanilla ice cream. Gauzy white/grey clouds scudded across the face of the moon and swirled around it as the ocean breezes rustled the palm trees high over my head. Pure magic. The beach at the Crane is one of my favourites in the Caribbean; a long, white stretch of sand backed by dramatic grey, pockmarked cliffs. I like my water a little on the wild side, so I enjoy the waves that roll in from the southeast at Crane Beach. It can be quite calm, but some days there are excellent boogie-boarding and body-surfing waves, as well. There’s also a carved walkway you can take a few meters out to a point, where someone has created a stone bench you can sit on as you watch the impossibly beautiful green-blue waves come rolling in. There’s an elevator or an easy set of stairs to take you down to the beach, where there’s towel service and a small bar for food or a drink. You also can walk along a pathway with round stones set on the rocks and reach another pretty beach (assuming the water’s gentle enough and the tides are right). The swimming pools are just as marvellous as the beach. There’s a quiet adult pool that overlooks the beach, as well as a series of three free-form pools that cascade down towards the cliff, complete with a pretty bridge, waterfalls and other features. I’ve not seen a prettier series of swimming pools in any resort anywhere in the world. 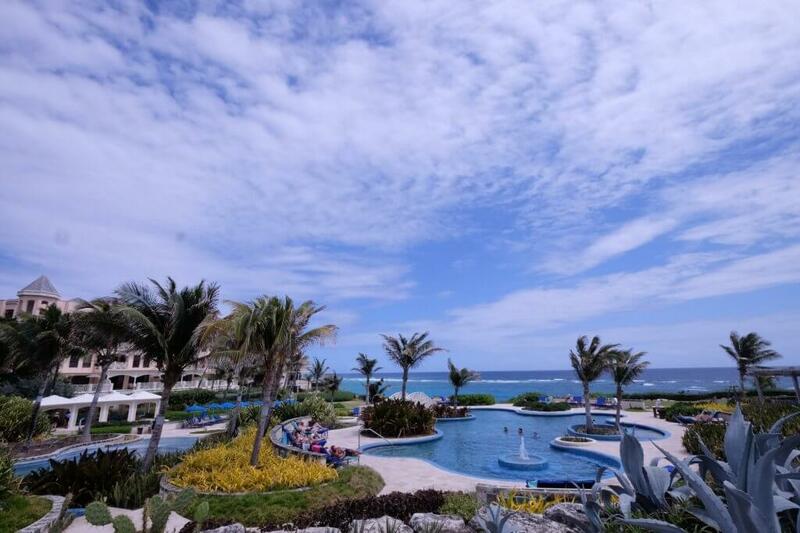 There’s a nice bar near the top pool, as well as a fifth swimming pool that’s surrounded by old, stone coral walls. The residential buildings feature lovely courtyards with fountains, and there is luscious landscaping all around. The main lobby area is part of a small “village” that features a general store for groceries, a coffee and ice cream/pastry shop (try the banana bread or the coconut bread for breakfast), a jewelry shop, a gallery and a shop that offers lovely clothing and duty-free liquor and other goodies. I’ve not had the pleasure, but they also have a highly-rated spa. And a kids’ club. Oh, and free Wi-Fi. You can rent a room for the night like a normal hotel, but you also can buy a unit. It’s a fantastic spot for weddings or romantic getaways. It’s owned by a Canadian, Paul Doyle. But it attracts a great number of folks from the UK and the US, as well. I posted a photo on Instagram the other day and got a note from a friend of mine in California, who goes there every year around American Thanksgiving. The Crane has you covered for dining, too. 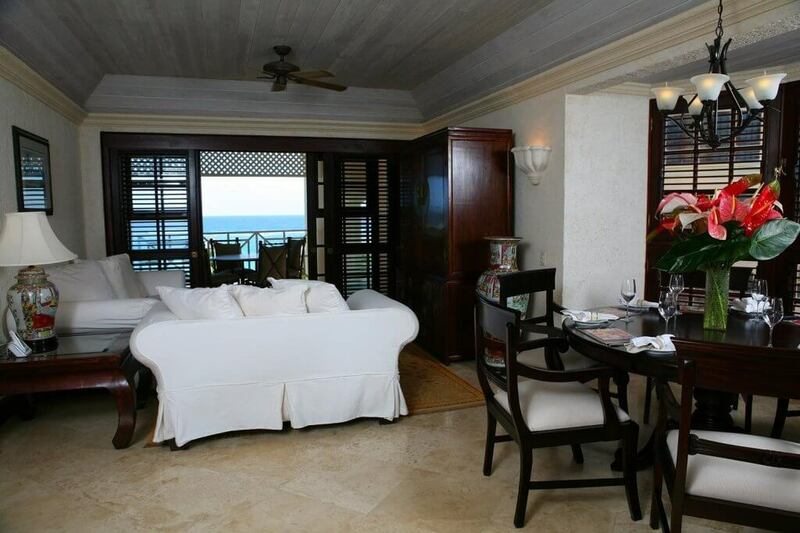 L’Azure offers tremendous views and great continental and Caribbean cuisine. You’ll also find a nice, casual Italian spot called D’Onofrio’s Trattoria, as well as the lively 1887 bar, where they often have live music. The Carriage House offers casual dining and a great environment near the upper pool. This past visit my wife and I had a great meal at Zen, which features Thai and Japanese specialties. The sushi was fresh and flavourful, the Thai soup filled with lemongrass and shrimp and the red curry with shrimp, veggies and coconut milk was delicious. If you’re in the mood to get off the property for a few minutes, it’s only a short walk to Cutters, a wonderful, casual restaurant that offers up tremendous food. The speciality is a flying fish cutter (cutter is a term for sandwich in Barbados), with tender, fresh fish on a soft bun. It comes with lettuce, tomato, cucumber and a bit of mayo, but I like mine with a generous splash of spicy, yellow Bajan pepper sauce. We had a side of macaroni pie the other day; another Barbados specialty. On top of that, they serve one of the best rum punches on the island; sprinkled with nutmeg and not too sweet. I love Barbados. And I love this resort.